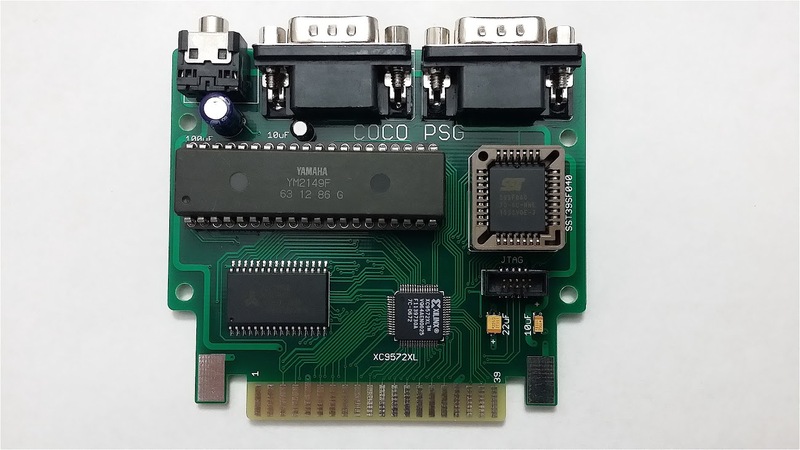 The CoCo PSG, a chiptunes cart for the CoCo. 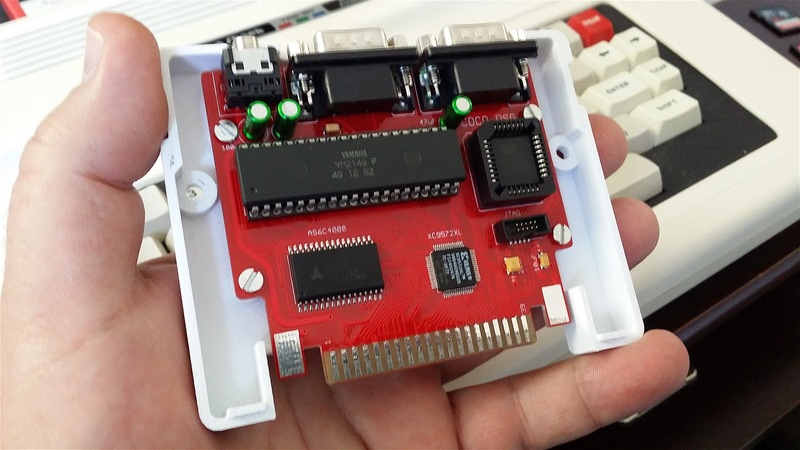 It includes the Yamaha YM2149 sound chip, 512 KB of FLASH storage and 512 KB of SRAM, and 2 Atari compatible joystick ports. The YM2149 is a programmable sound chip by Yamaha, based on the General Instruments AY-3-8910. 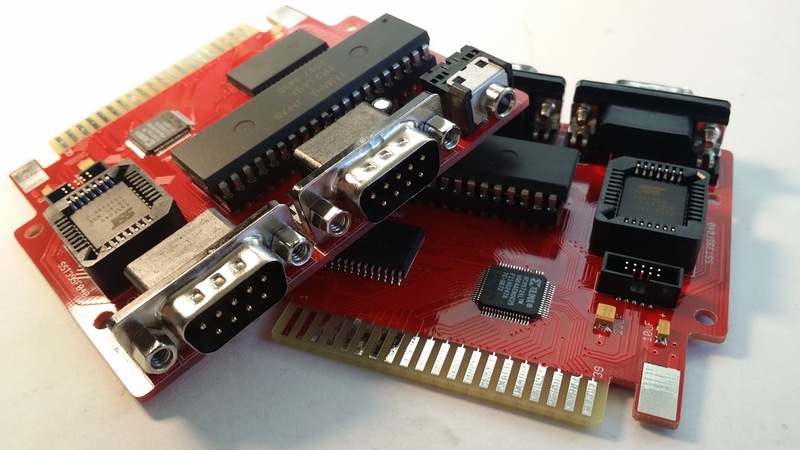 This family of chips was used by a large number of microcomputers and video games in the 80s, and there is a large amount of music available that is compatible with these chips that has been composed on several systems which is adaptable for play on a CoCo cart like this. This gives us the possibility of a large library of music to play, as well possibly being of use with tracker style composition software. written for the CoCo. Not to mention sound effects for games and other programs. 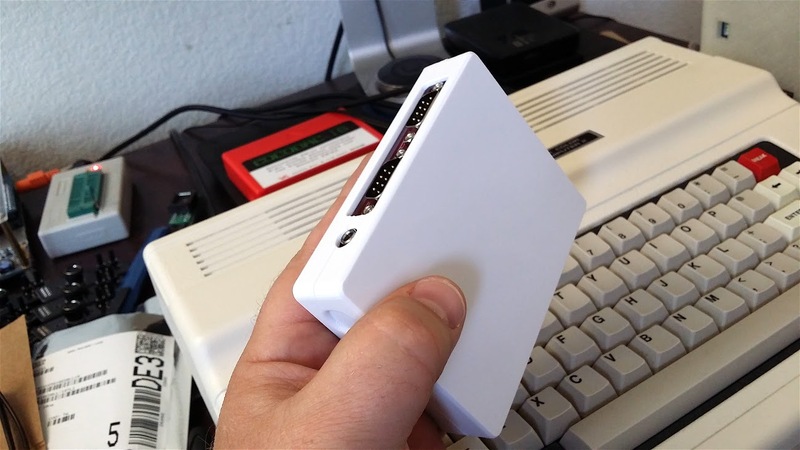 A 3D-Printed case for the board is included.